Yesterday when I posted about the little details that make your projects great, I really wanted to be able to show you some window treatments, but I just didn't have time. 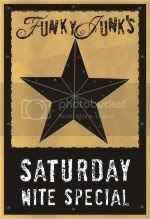 Today is a different story. Being laid up on the couch after a root canal this morning, I've had plenty of time to peruse my client files. So today, I bring you the windows! 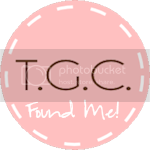 This is a job I did for another designer's client, who is a teenage girl. Originally the designer wanted a balloon shade with sheers on this window. After much discussion, we decided to give her the look without giving her actual balloon shades. We settled on a double london shade with gracelful sheers on the side. There are several things that make this treatment 'work'. People often ask me how to hide the hem at the top of a sheer. Look close at this one. Can you see where I added a 1" top-stitched band of another fabric? I do this to all of my sheers - sometimes I go up to a 2 1/2" band - so that it gives it a nice finished look and you don't see the shadow of the bulk in a sheer hem. I really like how graceful this treatment turned out. Next................this is in a basement with a window well for the window. The fabric itself is so darling that the window treatments would've been nice with only that..............but, you know I can't do that. I decided to add the yellow and white from the bed coverings and jazz them up. I put a band of white textured fabric down the leading edges, and added a yellow ric rac to both sides. then, I added opaque yellow buttons and even topped those off with a blue bead. I almost used a white polka dot for the tie tabs, but in the end settled on a yellow check. I'm glad I did because it added that last punch of color. This room is across the hall from the one above. The dilema here was how to add a great treatment around another well window that wouldn't 'stand out' too much. I decided instead of down-playing the window, to actually make it the feature. 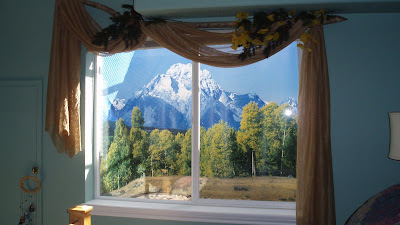 The client added a landscape scene inside the window. Have you ever seen these? They are GREAT. 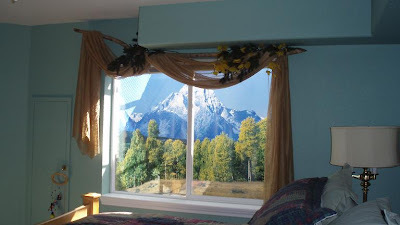 I thought it would be best to give this window an 'outdoorsy' look. The whole room is camp style, and this fit right in. I took a tree branch and used it for the rod. I found some wheat colored scrim fabric and wrapped it gently around the pole. To top it off, the client and I raided her craft room and found some matching flowers and leaves to attach to the treatment. Here's a little closer picture. I think this fit the room perfectly. The client loved it. In this kitchen, I decided to go all or nothing. The client didn't want a lot of patterns, so I was forced to stick with two, the main floral, and a plaid for the cording. This empire treatment is mounted on boards cut to fit the angles of the windows. I wanted something dramatic without being overwhelming. I originally installed this treatment as just a topper, but it looked unfinished to me, so I talked the client in to letting me add panels. What a difference those made! 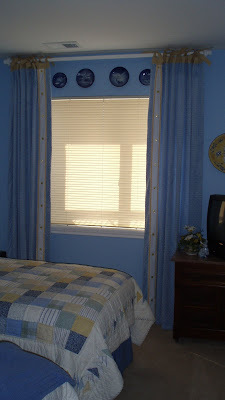 This client had pinch pleat sheers already on her window. I kept telling her it needed something else. Eventually she caved, and this is what we added. We used another twisted rope rod (you'll find that I like those!) and cut them to fit the window. We made a modified empire swag, pleated the tops where they attach to the rod, added a tassel at each of those points, and put fringe along the entire bottom. For impact, we added panels at the breaks between the windows. But look at this one! There's those twisted rods again! On these panels, I added a full piece of a complimentary fabric to the top. They look like I added a band around the edges, but I didn't. I actually topstitched the fabric to the bottom panel so that I could have extra fullness to an otherwise thin drape. I then stitched a little finger pleat every few inches at the top and put a drapery pin in them to attach to the rings. 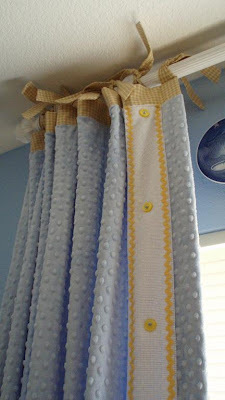 I put buttons at each of those pleats and hung a tassel on them. Pretty, and unexpected. Do something different and hang your panels on swing arm rods. These are heavy chenille panels, both fabrics, both sides. All I did to embellish these was to add fringe in the seam. The unexpected treat is this - these are completely reversible, and since they're on swing arm rods, all they have to do to reverse the pattern is swing the rod in, or swing the rod out. Tip: If you try this kind of treatment, be SURE to mount the rods along the window so they look in scale with the window whether you have them facing in or facing out. These are about 12" from the outside edge of the window to the outside end of the rod. I hope you've enjoyed looking at these pictures today. I'd like to try to encourage you to look at things differently than you normally would, and don't be afraid to embellish all of those pretty things around your home. Thanks Nancy. I appreciate that comment. I've followed your blog for a while now, in fact, I've got my eye on that bird's nest tassel you've got in your etsy shop! Im a TN girl myself, born and raised in Manchester. My whole family is still there. I'll have my shop up in about two weeks. Keep checking in. Hi, Polly. It's me, SuzieMaus. Great to see you have a blog now. Love the soft colors in the first picture here, and the london shades. Watching for your store to open. You are one talented lady.